A couple of weeks ago I showed you my very first finished client room, a teen bedroom. 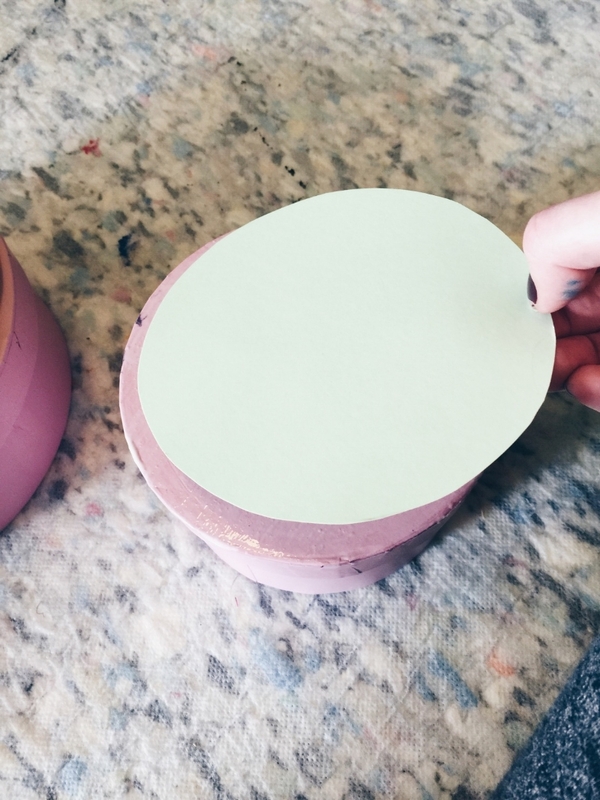 I got so many comments about the personalised trinket boxes that I made for her, so I thought I'd share the super easy step by step method to create the same for yourself. Or for your BFF. Or your grandma. Or your neighbour... you get the picture! Oh and did I mention this costs less than £15?! I had gold tape in the pic above as I was planning on doing the rim but chose against it later... you might want to try that too! The lid of my boxes were embossed so I needed to create a flat surface. 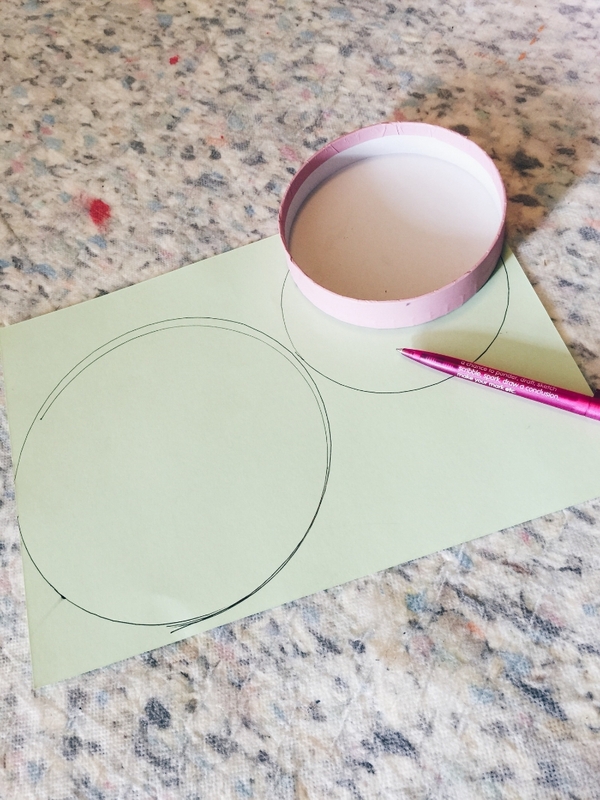 In order to do that I drew around the lid of the box and cut out a card disc that I would then glue onto the lid using my PVA. You may need to keep going back and trimming it so that it fits really snug and doesn't overlap the rim. Glue on the card disc and then leave a heavy book on top of it to dry so that it dries completely flat. We don't want any picky edges now do we? 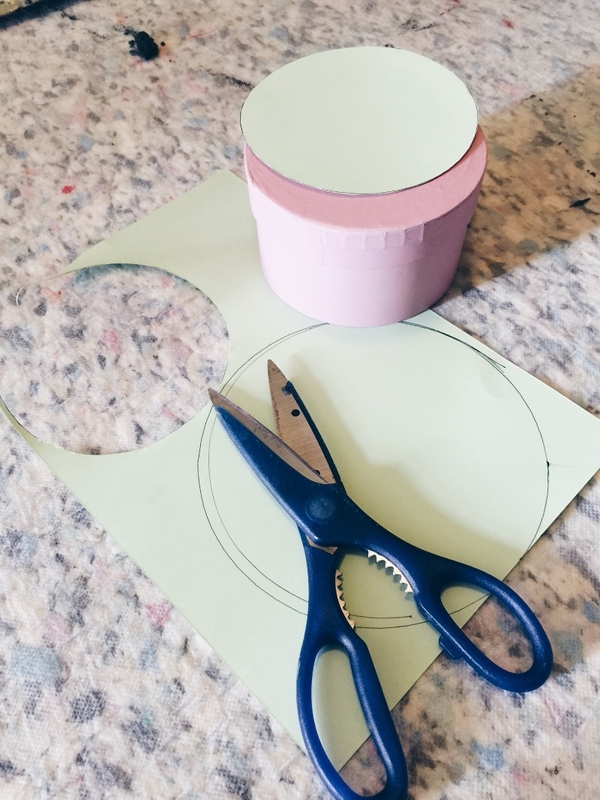 If your lid doesn't have any embossed areas then you can skip both of these steps. Lucky you! Once the lid has securely dried and you are sure that the embossed logo is covered you can start painting. 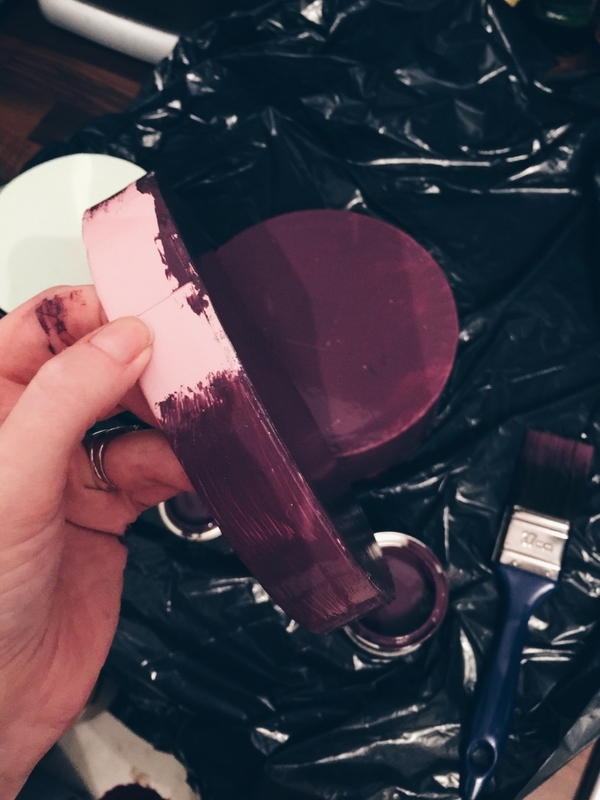 You will need at least two coats of paint but you may want to just have one underneath the rim of the lid, as this area might start to get tight with too many layers of paint. If your box has quite a loose lid then you'll be ok to go all over with two coats. 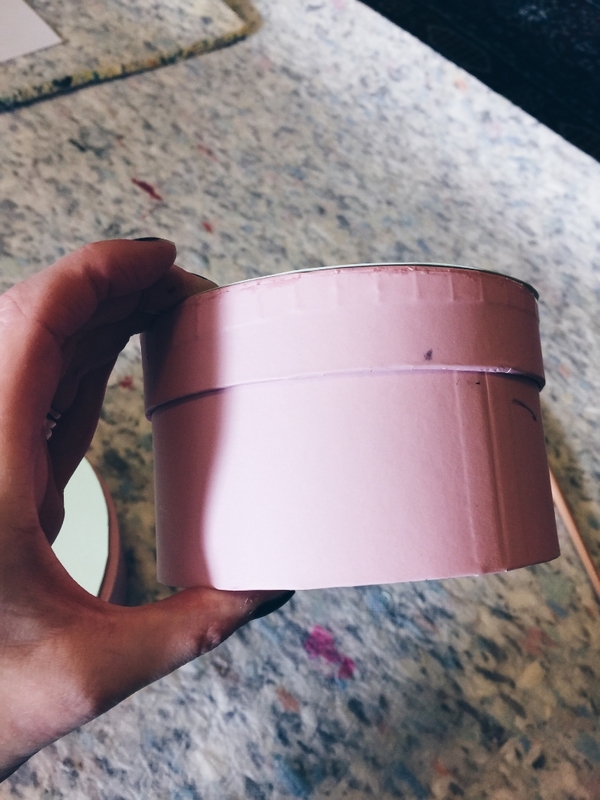 I painted straight into the box but I noticed that it was starting to peel in areas so you may want to give your box a quick buff over with a piece of sandpaper so that the paint has more to cling to. Once they are fully dry you can do the fun bit - applying your personalisation! I bought these gold initial letters from Hobbycraft for £1, they have a variety of styles. If you're good with doing stuff by eye then just go for it like I did. If you need a little bit of guidance follow this video to find the exact center. Now you can see why i did it by eye right?! And then you have a finished product! As I mentioned you can add a gold trim to the lid if you like, just make sure that your tape is the same width as the rim otherwise it's really easy for it to start going wonky (which is exactly why I did mine without). Stack two of different sizes for a really chic look. Style them on your dressing table alongside perfume and scented candles. So what do you think? Is this something you'd try? P.S for more cool blogs like this sign up to my mailing list and never miss a post again! Sign up with your email address to receive my blog posts straight to your inbox!